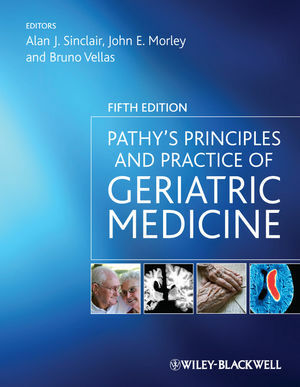 "...an excellent reference for learners at all clinical and preclinical levels and a useful contribution to the geriatric medical literature." Alan Sinclair is Dean and Professor of Medicine at the Bedfordshire & Hertfordshire Postgraduate Medical School at the University of Bedfordshire, UK. He was a founding member and Academic Director of the European Union Geriatric Medicine Society EUGMS) and previously Charles Hayward Professor of Geriatric Medicine at the University of Birmingham, UK. His principle research interests are in the areas of diabetes, older people, nutrition and frailty. He is the recipient of both national and international research awards. Professor Sinclair recently established the Institute of Diabetes for Older People (IDOP), which is the first institute of its kind to be solely dedicated to the enhancement of quality diabetes care in older people. John Morley is Dammert Professor of Gerontology, Director of the Division of Geriatric Medicine and the Division of Endocrinology at Saint Louis University School of Medicine. Dr. Morley has directed the clinical training programs in both endocrinology and geriatrics and supervised research activities ranging from basic biomedical investigation to epidemiology and health services research. He is the editor of the Journal of Gerontology: Medical Sciences, and recipient of the Ipsen Foundation of Longevity Award in 2001, the American Geriatrics Society's Lascher/Manning Award for Lifetime Achievement in Geriatrics in 2002, and the Gerontological Society of America's Freeman Award in 2004. He has developed a number of educational games and has a special interest in continuous quality improvement (CQI). Bruno Vellas is Professor of Internal Medicine and Geriatrics, Chair of the Gerontopcle in Toulouse, France, including the Alzheimer's Disease Research and Clinical Centre. Professor Vellas is President of the IAGG (International Association of Gerontology and Geriatrics) and Editor-in-Chief of the Journal of Nutrition, Health and Aging.